Hi there! 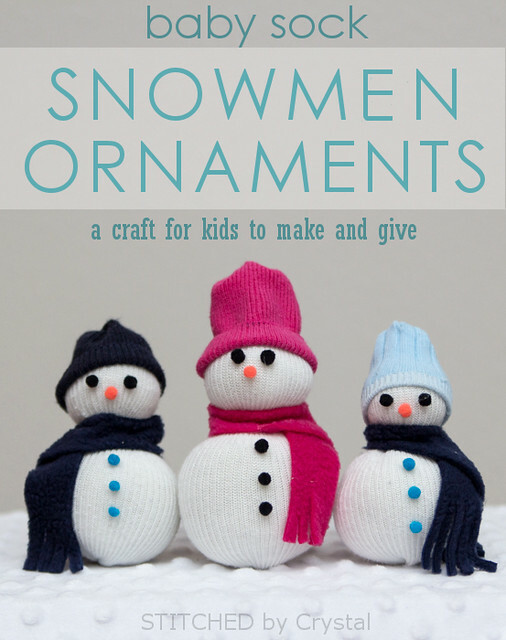 I am Crystal, you can usually find me over at Stitched by Crystal, but I am thrilled to be here today joining in on the A Giving Christmas series and sharing a fun craft your kids can make and give! In our family, we give a lot of Christmas ornaments. Everyone in the family gets a new ornament to add to the tree each year. So I thought it would be fun to have my kids get in the giving spirit by making ornaments to give to others. My kids are young, 2 and 4, so I needed something toddler friendly, something without a lot of cutting and sewing involved. 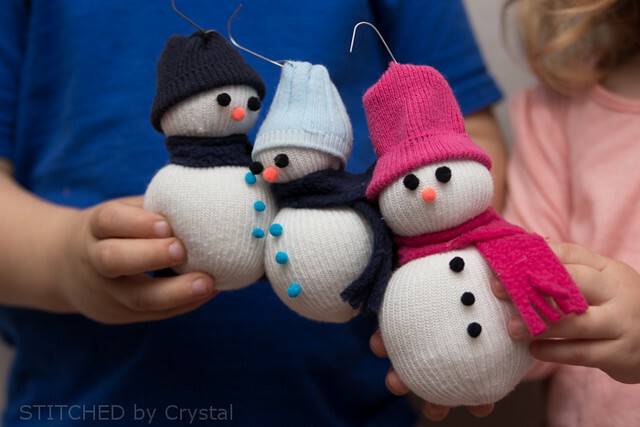 These little sock snowmen certainly fit the bill! And they were fun to make together, they are so easy even my youngest could join in! 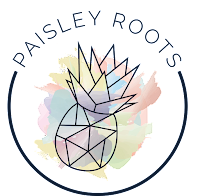 We started our crafting by raiding my kids sock drawers for any unmatched or outgrown socks. We ended up with a pretty big selection! We had mostly 6-12 and 12-24 month size socks, any size will work for this craft, but the little ones make really great size ornaments. Next, we hit up my craft supplies for some tiny pom poms, stuffing, fabric scraps, and craft glue. Then we grabbed a few of the tiny rubber bands I use to style my daughters hair and we were ready to build some snowmen! Some mismatched socks, one white one and one of whatever you have on hand to make a hat. Tiny pom poms… two for eyes, one for a nose, and a few for buttons. Fabric scrap for a scarf, we used a 1” x 9” strip of fleece. 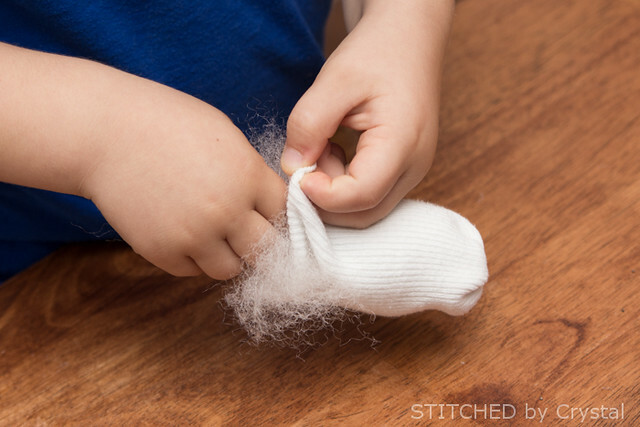 Start by cutting off the top of the sock. 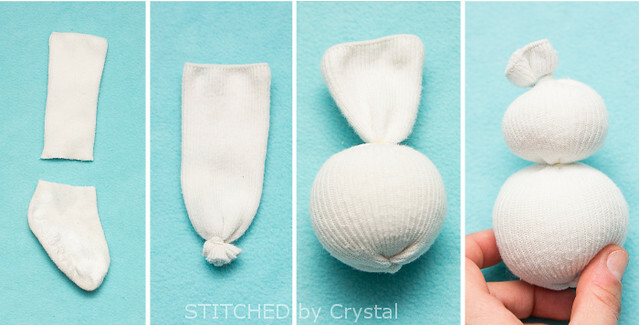 With the sock inside out, wrap a rubber band around the cut end of the sock. My little ones needed some help with this step, but older kids should be able to do all of this on their own. 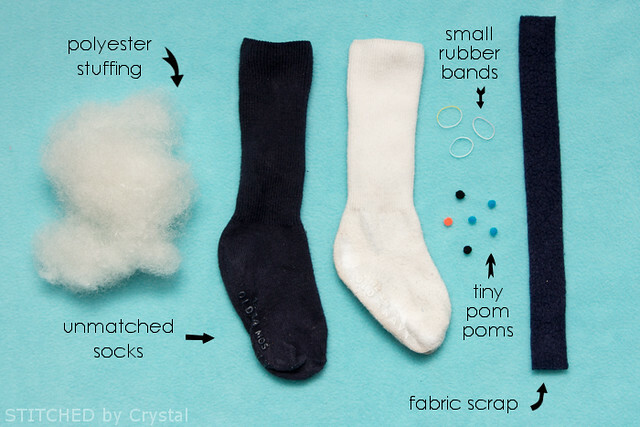 Then turn the sock right side out and stuff it a little more than halfway. Add your second rubber band and then stuff some more. Then add another rubber band to close the top. The stuffing was my kids favorite part! To make the hat, cut a few inches off the top of your other sock. With the sock inside out, wrap a rubber band around the cut end. Then turn the hat right side out and stick it on the snowman’s head. 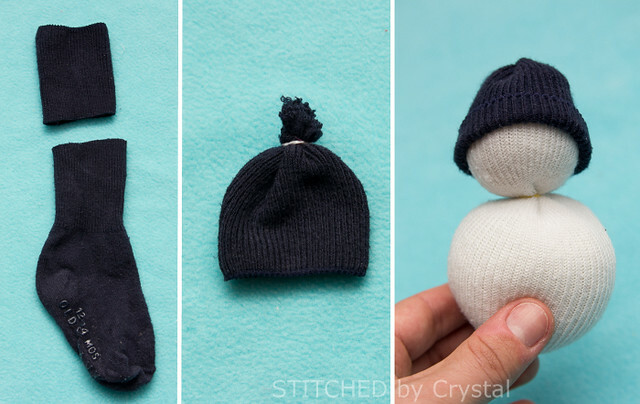 Use your craft glue to glue the hat to the snowman’s head around the bottom to secure it. 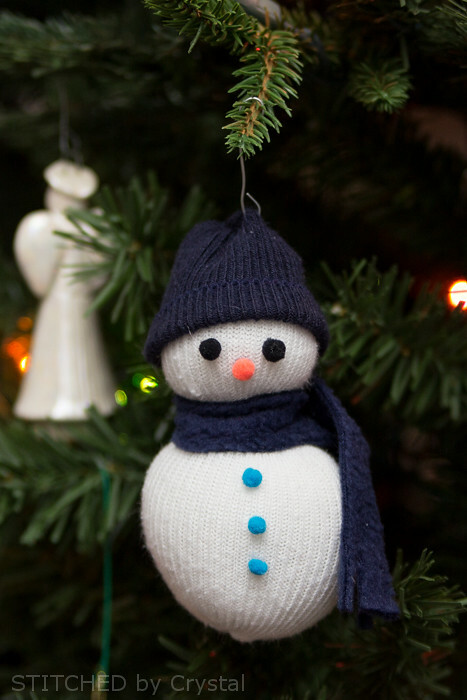 Wrap the scarf around the snowman’s neck to hide the rubber band and glue on his eyes, nose, and buttons. Stick a hook through the top of his hat and he is ready for giving or hanging! My kids and I had so much fun crafting together! Thanks so much Karly, for hosting this great series and for having me here today! 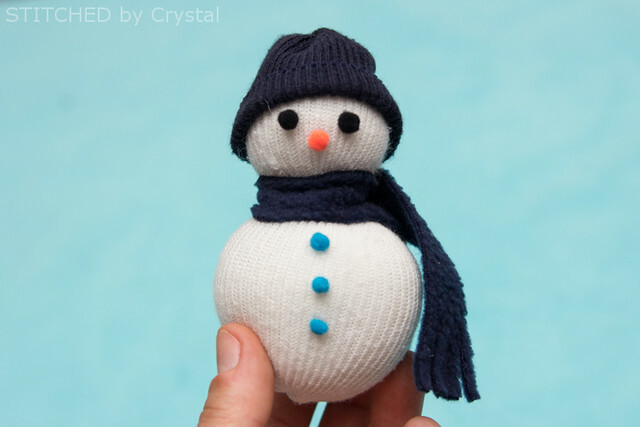 I hope you enjoyed our little sock snowmen, swing by my blog sometime and say hi! these are SO insanely cute!!! i would love to remember this for next year!